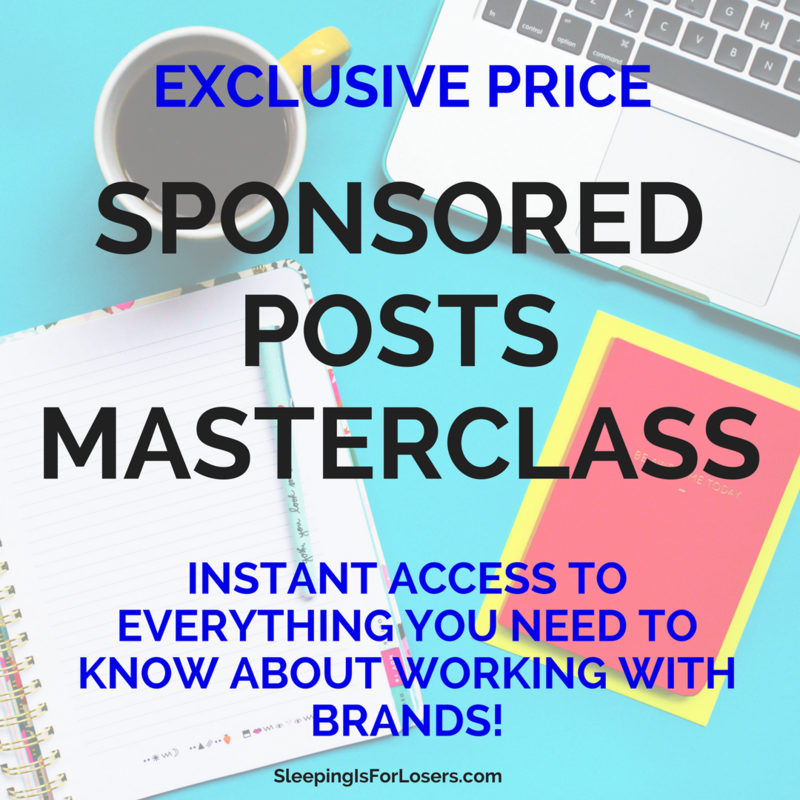 Alright bloggers & business owners, I’m about to unpack a secret that is super powerful & way under-utilized. CONTESTS! Contests have been the holy grail of blog growth for me over the past 7+ years of my blogging career. When done correctly, they have the ability to gain you a new audience, a great spike in blog traffic, and significant earning potential that can last long after your contest is done. The secret, though, lies not in what you’re giving away (although an epic, I can’t wait to get my hands on that contest item is always a draw) but how you market and position your contest or giveaway. So let’s unpack exactly how you can use contests to convert. No matter what stage your blog or business is at, a giveaway will boost your image, your visibility, and likely your readership as well. Given the opportunity to win something they don’t have to pay for, people you never knew existed start to come out of the woodwork. They engage on your site, maybe join your Facebook page or follow you on Twitter & Instagram. They leave a comment. They may even share your contest post in hopes that it gives them some brownie points with you:) And if you already have something for sale on your website, even better, because you can turn those contest entries into real-life purchasers of your products. Bottom line: No matter what your goals, a contest or giveaway is a fantastic opportunity to grow. Yes, yes. I said above that people love free stuff. Any free stuff. I have proved over and over again that people will sign up for the chance to win anything (I once gave away ONE BOTTLE OF SHAMPOO with huge entry numbers! ONE BOTTLE OF SHAMPOO!). However, the more you get to know your readers and the more you understand who they are, the more you’ll begin to realize that targeting your contest item(s) to the needs & wants of your audience is FAR more productive and efficient. So how do you decide what to give away? Think about what tools or items would make the lives of your readers so much easier. Think about what luxury item someone may not spend their own money on but would HAPPILY enter a contest to win! Bottom line: Make yourself a list and really get clear on the types of items your readers need or covet. That’s where the contest gold lies! Where Do You Find The Item(s) To Give Away? This is where it gets a little grey and you’ll have to make some choices about what works best for you and your business/blog. Here’s an insider tip: many bloggers pay for giveaway items out of their own pocket. In fact, many top bloggers use this method regularly because they know it converts like crazy into building them a new audience and potential new readers and maybe even customers. It is a completely viable option and one that will ensure that you are giving away exactly the type of product you want your audience to receive! RELATED POST: Is Content King or An Afterthought? Here’s the first giveaway I ever did (way back in 2009!). I found the product (on Etsy), I paid for it, I set up the contest and I paid for shipping to the winner. I am honestly not sure that it was worth the money I put into it but it was a good learning experience for me. It showed me the power of a contest and the power of giving to people who are spending their time reading your blog. You’ll notice that I didn’t use any type of plug-in to gather information or entries…I just asked people to leave their email address…and they did! At the time I ran this contest I think I had 10 readers a day (if that), and I saw my traffic spike to 50 readers a day just thanks to this contest. That was all the proof I needed! Go on Etsy and look for partnerships with store owners who may want some free publicity for their products in exchange for a giveaway. Look locally! If there is a local small business that carries a product you know your readers would love, reach out and see if you can forge a partnership with them to sponsor the giveaway. 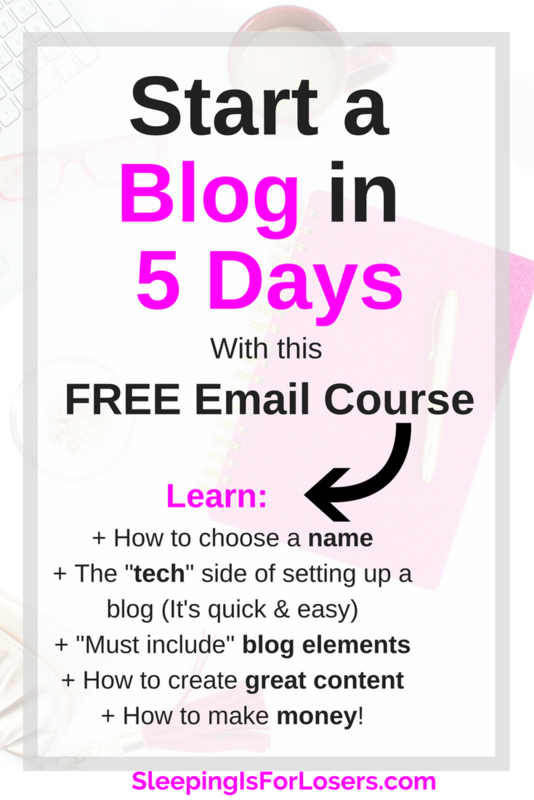 Ask other bloggers if they have a digital product that they would consider giving away on your site. In fact, if you can bundle a few useful digital resources, you just may find yourself with a massively successful giveaway (and one that will cost you nothing because sending things digitally is AWESOMELY FREE!). It’s going to take some legwork, but if you are determined I know for certain you will be able to find a contest item to requires little to no financial input on your end. Bottom line: Be willing to do some work and you can have a giveaway or contest item that costs you nothing but will entice your existing readers and new readers to enter (and tell others!). Set Up The Contest, Won’t You!? As a general rule, contest convert best when they are set up on your blog or website and promoted through social media. It doesn’t mean that a Facebook-only contest won’t be a huge hit, but you won’t see the benefit of traffic to your blog when you create a social media-only contest. Mention IN THE TITLE of the post that there is a CONTEST or GIVEAWAY included! Use RAFFLECOPTER (the free version) to “host” your giveaway. It’s so easy to use – you can literally set up your giveaway and launch it in moments. The site will walk you through it step-by-step so just check it out:) They’ll show you exactly how to load the contest tracker onto your site and they really take care of the rest. Make sure you add multiple ways for people to gain extra entries (like visiting your Facebook page or liking you on Twitter!). Rafflecopter also has an option to download all the email addresses of entrants after the giveaway is done – use that and add them to your email list! (I always make a small note within my post noting that people will be emailed after the contest and are able to cancel their subscription to my emails at any time). *for the record I’m not affiliated with Rafflecopter in any way – I just know from my own experience how amazingly easy they make giveaways! 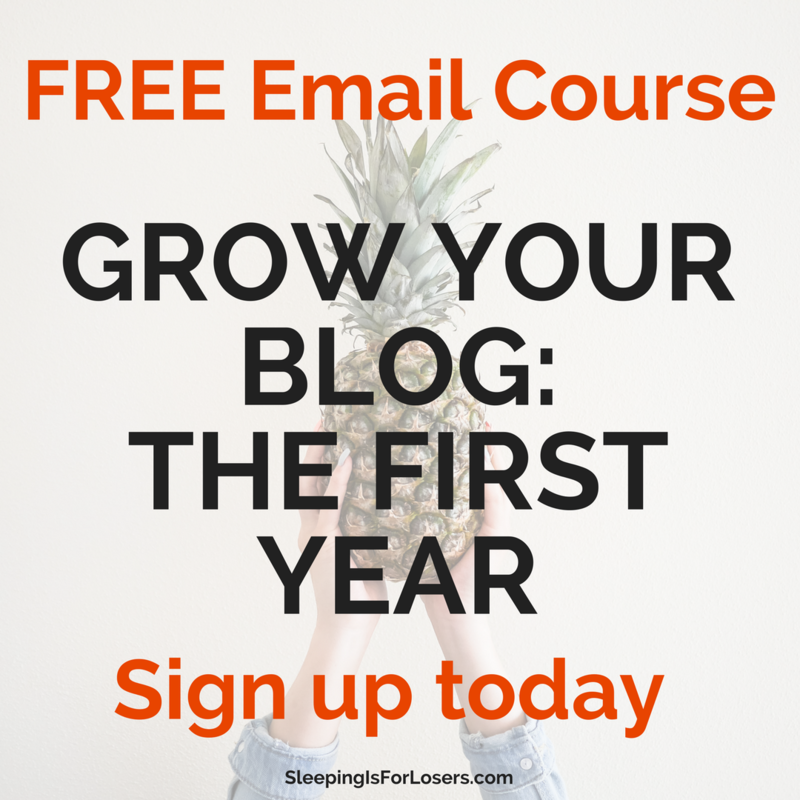 Set your blog post to “publish” and get ready for the next step! Bottom line: Write a blog post, use RaffleCopter to keep track of entries (within your blog post!) and get ready to promote! Here’s where the rubber meets the road. You need to start promoting the HECK out of your giveaway for it to be successful. How? Glad you asked! Mention your giveaway on every social media platform you belong to…multiple times! Don’t be shy here – you need to let everyone and their dog know that you have a giveaway going on and they need to enter. Add it to Facebook groups that let you add promos. Mention it in Twitter conversations. Tag people in an Instagram post about your giveaway. Talk it up again and again and again! Create a pin for your giveaway and get it on Pinterest ASAP! Do a Facebook Live about your giveaway – video is great at converting your existing audience (and gaining a new one). 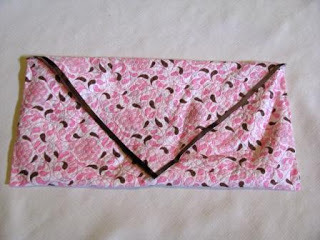 Reach out to bloggers that you know and ask if they would be willing to share your giveaway! Email your list (no matter how big or small) and let them know that your giveaway is ready for them to enter! Send at least 2 emails (one when it goes live and one when you are about to close the contest to remind them). Ask them to share your contest with their friends! Google “sites to list your giveaway” and the country you live in or are targeting. What you’ll find are a bunch of websites dedicated to listing giveaways and contests. As soon as your giveaway goes live, you need to submit it for inclusion on at least 3-4 of these giveaway sites! Make “sharing” your contest one way to gain extra entries! Stop worrying about annoying people. TALK ABOUT YOUR CONTEST! Bottom line: Get ready to talk about your contest at each and every opportunity. Leave no stone unturned. Once your contest is done, you need to follow up and let people know that they did not win BUT that you appreciate their entry and thank them for reading your blog. Perhaps add a few links to posts that might interest them or to products that you already sell on your site! If your giveaway was something that you actually sell, maybe this is the time offer them a coupon code or discount if they decide to purchase. Ask them to follow you on Facebook or Instagram. 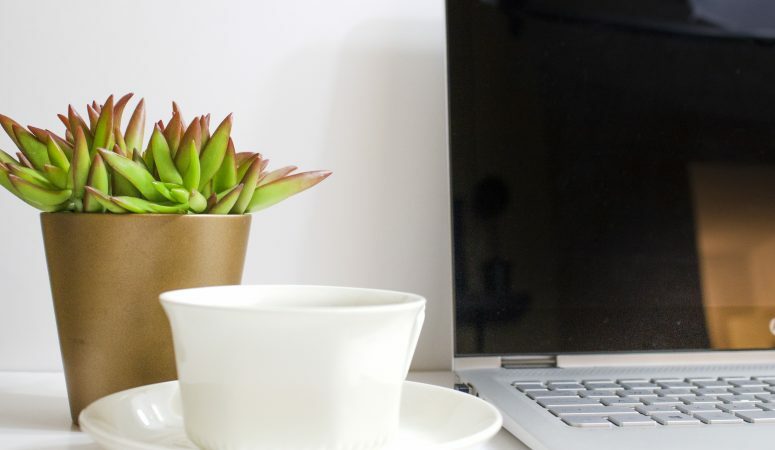 Get creative in your follow-up and don’t let this golden opportunity pass you by! There you have it! 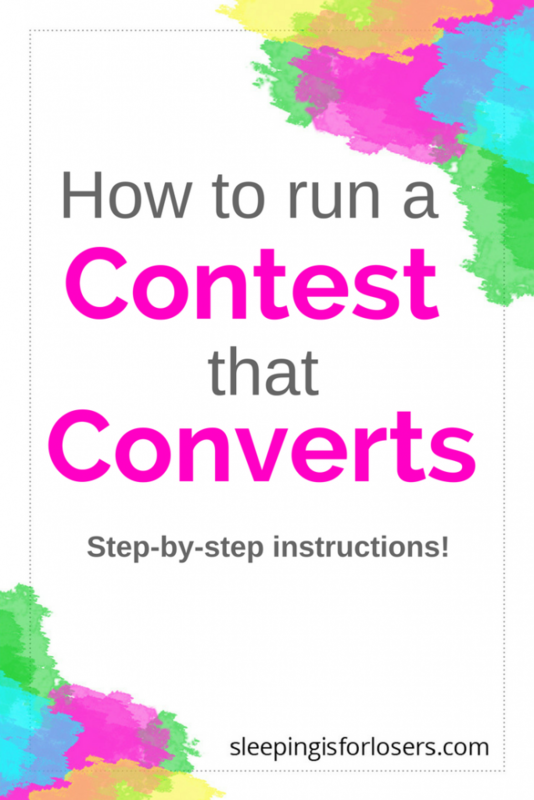 A complete guide to setting up and running a contest that converts entrants into readers and maybe even customers! A bit of a pro-tip to end this post: START SMALL. You don’t have to giveaway an iMac and Bluetooth Speakers on your first go! Get your feet wet and figure out what this contest stuff is all about…once you feel comfortable, up the ante and really see your numbers soar and contests convert! This is an awesome post! Ive been struggling to grow my followers, subscribers, pageviews, ect and I have yet to do a giveaway. I plan to set one up for the month of March. Thank you! Thank you! 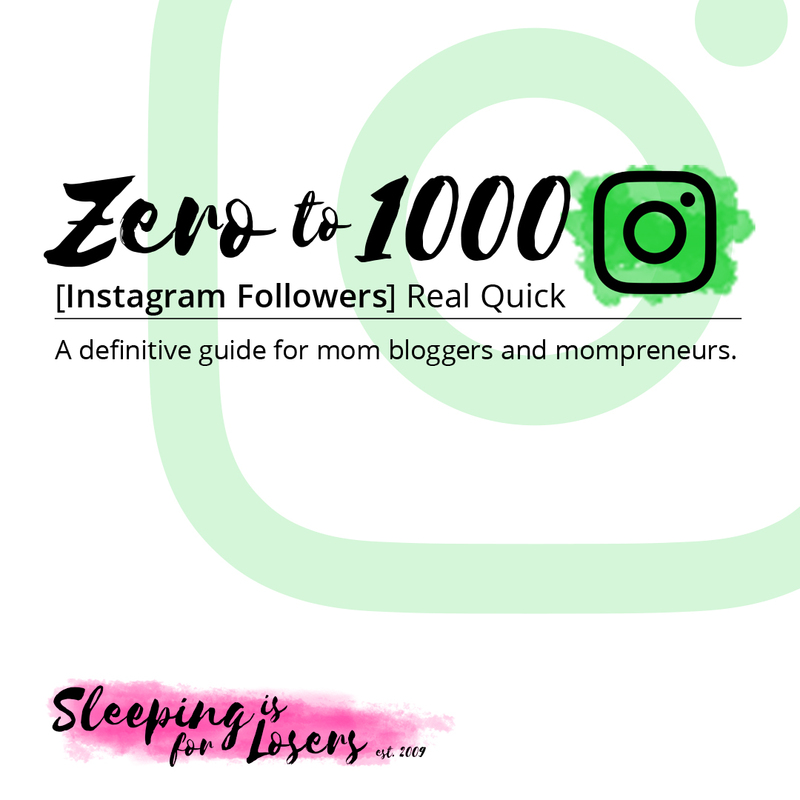 I’ve had a product I wanted to giveaway and wasn’t sure how far into blogging I needed to wait to actually do it. My birthday is tomorrow, so what a great day to start a giveaway. I use the product that I’m giving away and love it. Can’t wait.